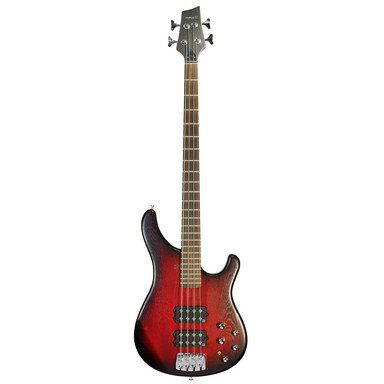 Basic Ken Taylor 4 - Redburst Satin Rosewood, 4-string bass guitar from Sandberg (Bass) belonging to the Basic Ken Taylor 4 model. 1 switch allowing to get from single-coil to humbucker mode. The neck is good, although accessing the highest notes is a bit of a pain with the 23rd & 24th frets. A bit of regret for those who do use them (I know, I'm one), but it doesn't make playing impossible. The instrument's ergonomy is nice! The body is rather thin, and I find the matte finish absolutely superb (just like on the picture). This finish leaves no fingermark and the bass always looks perfect. I consider it a very, incredibly versatile bass with which you can find the sound you're after in a breeze fo each and every style. I use it with a Markbass, and even with all settings at midrange I've finally THE ONE sound that I love, with a heavy-to-taste E and a very Musicman-like ringing slap sound. I've used this bass for a year and a half now. At first, it was a concession to not being able to get a Musicman Bongo HH (too expensive, and to hard to find one used that you can try before buying where I live). Plus, I only play 24-fret instruments. - a Spector Euro LX 4 (with a great ergonomy that makes reaching the 24th fret as easy as can be), but the Sandberg has still become my favorite bass (with the Fender trailing far behind, as you imagine). In a band, the Spector stands out very well in the mix but the Sandberg is even better as it also sounds brighter and heavier, with more presence. Since I've found this Sandberg, I'm less attracted to Musicman: why bother with a so-called renowned brand that is so hard to find where I live, while you can get the Sandberg's "made-in-Germany" quality with such an excellent value for money (the Sandberg cost me 1290€ compared with a Musicman which is at least 1990€ - unless you buy it abroad). 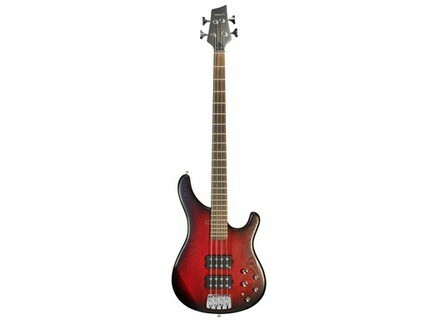 So... Not dreaming of America anymore, my next bass will certainly be a Sandberg!